Thank you for visiting! We hope you will find all the information you need regarding EMU's School of Music and Dance and the Oboe Studio within these pages. Please browse through the tabs above to learn more about our program. 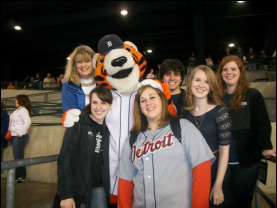 Studying oboe at Eastern Michigan University offers oboe students the opportunity to work regularly with an outstanding, dedicated faculty, and also offers the advantages of frequent opportunities to work with world-renowned guest artists. In addition to regular studio classes and reed workshops, oboists experience sessions on instrument repair and maintenance, and are fortunate to experience classes focusing on pertinent topics specifically designed for musicians. Performing opportunities are plentiful for the interested music student. 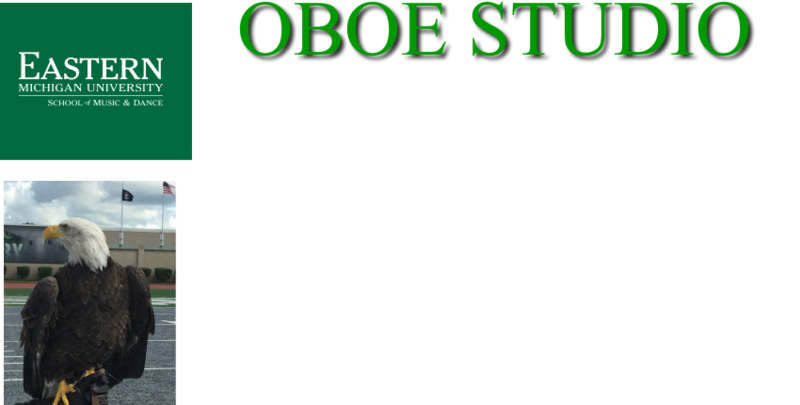 The Oboe Studio has a Facebook page (“Eastern Michigan University Oboe Studio”) that, once “liked”, will alert you to upcoming news, events, and concert information. Hear works by J.S. Bach, Kalliwoda, Hindemith, Marcello, Vaughn Williams, and more!